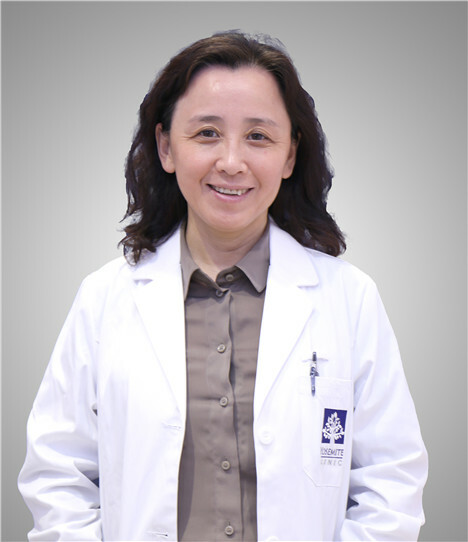 Dr. Linda He, graduated from Shenyang Medical College, Shenyang, China in 1989, is a qualified and registered pediatrician in the People's Republic of China with total experience of 29 years in pediatrics. Dr. Linda He had started her medicine practice as soon as she graduated from the college. She worked respectively at pediatric department at a state railway hospital in Shenyang, Sohar Hospital in Oman, NO.2 Hospita of Shenyang Medical College, Beijing Puhua International Clinic, Shanghai St. Michael Hospital, Beijing Salus Pediatric Clinic and now she works as a pediatician at Shanghai Yosemite Clinic. So dedicated to pediatrics and so experienced, not only she worked as a pediatrician, but also a teacher in pediatrics at Shenyang Medical College when she worked at one of its affiliated hospitals. During the time of being in private hospitals, apart her Clinic hours, she has spent a lot of time at clinic promotion and patient education including lectures, workshops and online consultation. Her medical specialty: Pediatric medical( children's diseases, health management and immunization ), Neonatology, Hip Ultrasound for infantal DDH.